Various footwear created while working in Nike Sportswear's footwear design category. Illustration, tongue labeling and colorway for the Valentine's Day 2011 Nike Sportswear "Amor" Dunk. A visual narrative of some young birds meeting, beguiling one another from afar and eventually being shot by the sharp arrow of a mischievous cupid were illustrated and woven into an all-over drakkard. 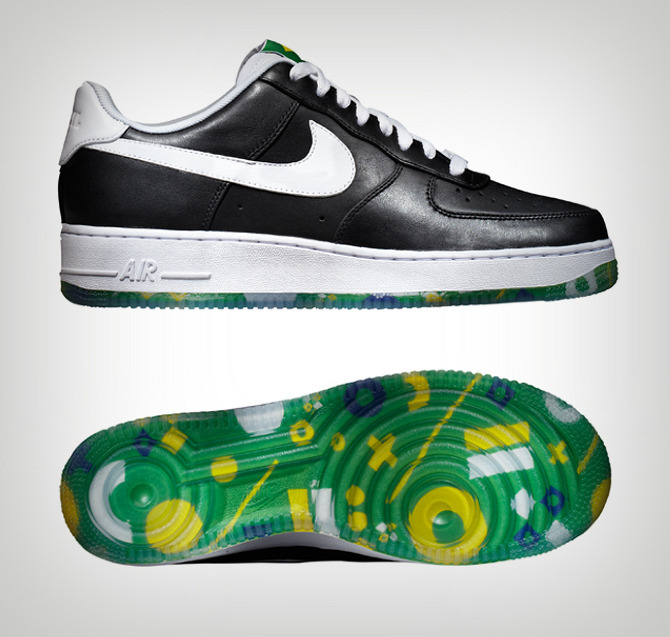 The AF-1 Brasil was created to house the manifesto of a new breed of up-and-coming creators from the streets of Brasil. A graffiti writer named Toddy wrote out the manifesto on a wall, and our job was to create a shoe that exemplied, and carried, that manifesto. My role was taking Toddy's work and creating a premium, striking Air Force 1 that would represent the idea that "It's Possible." A gumsole, popped eyestays and debossed Stetson leather gave the shoe a sophisticated feel, but the textured writing and bright colors keep it youthful and in tune with the scene that it represents. Photography courtesy of Nike Sportswear. A limited edition shoe created for the Chinese retailer CLOT. 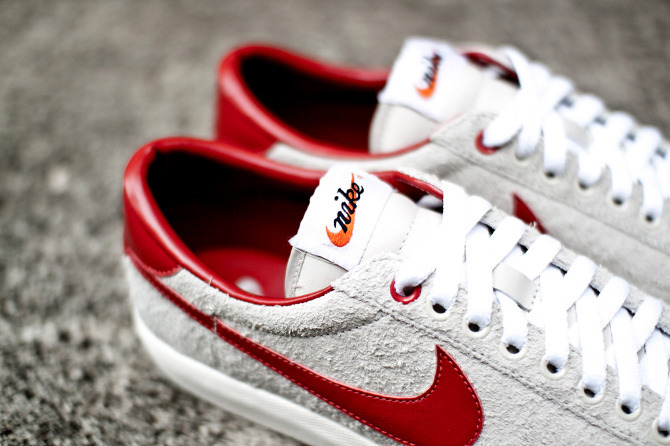 Photos courtesy Hypebeast. 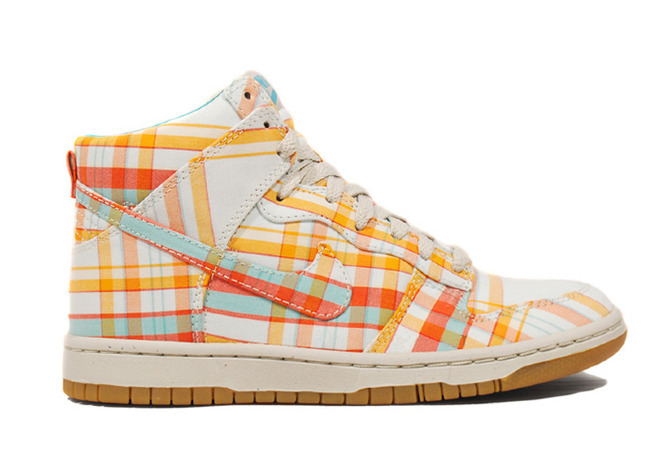 Created bespoke plaid madras patterns and colorways for this limited Nike Womens release in 2010. 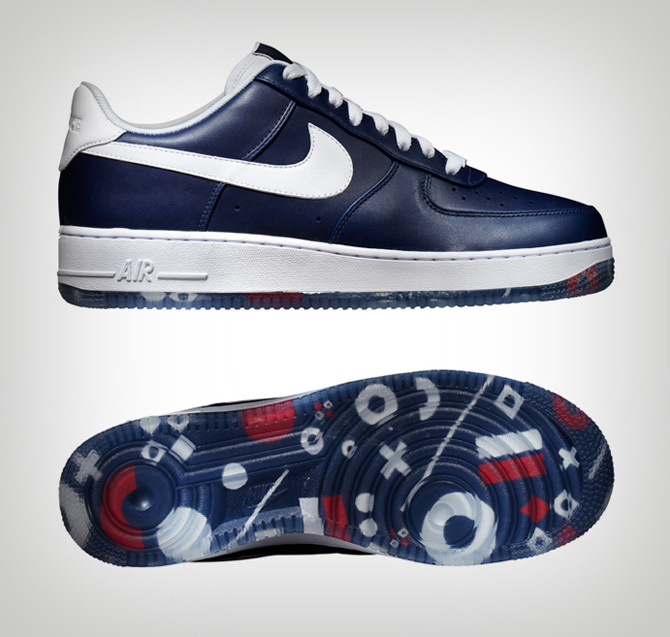 Material, color and pattern direction for the 2010 World Basketball Festival Air-Force 1 "Country" Pack. Premium leather, debossed heeltabs and a clear outsole were used to give the shoes a nod to each country represented in the Festival. The outsole pattern was a deconstruction of the "World Basketball Festival" logotype created by Michael Spoljaric and the Nike Basketball Brand Design team.